Published by The Mid-West Publishing Co., 1924. 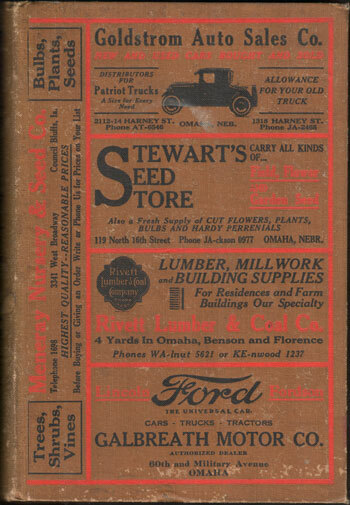 This book is an extensive directory of the farmers in the above five listed counties. 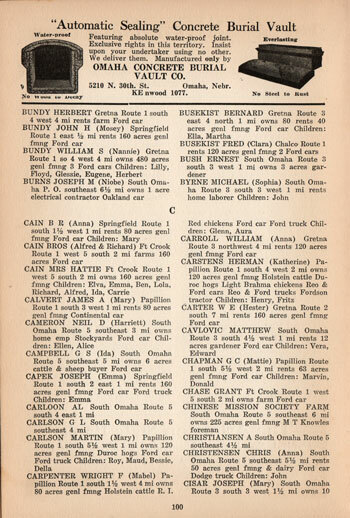 Includes name, name of wife, names of children, address, number of acres, type of farming, brand of car and tractor owned. Also includes many advertisements for businesses in the area. Cover is lightly worn. Internal pages are clean and in nice condition. This an original 1924 edition. Hard cover, 220 pages with a very large number of farmers listed.